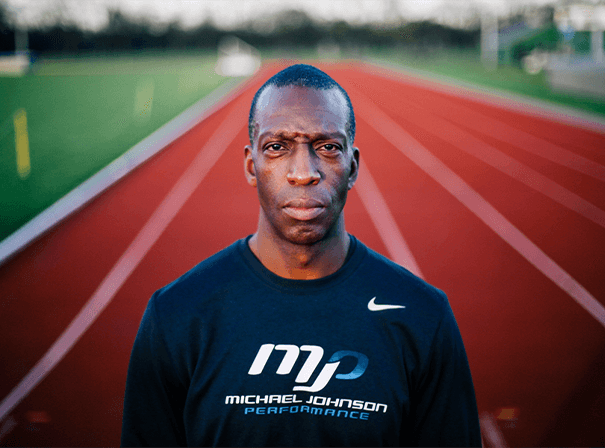 One of the most decorated, adored and recognisable athletes of all time, Michael Johnson won four Olympic gold medals and eight World Championships gold medals. Nowadays a natural on camera, an accomplished presenter and commentator, Johnson is available for a wide range of public speaking events, TV roles, guest appearances and charity roles through MN2S. Famous for wearing his golden running spikes and for his short steps and stiff, upright running stance, Johnson was the world’s fastest man by breaking the 200 metre world record at the 1996 Olympics and soon became the face of international brands like Nike. In his time he set and broke many a record in many different events from the 200 metres to the 400 metres via the 4 x 400 relay and still holds 14 of the top 25 times for the 400 metres. He is also the only man to ever win both the 400m and 200m at the same Olympic Games and is also the only man to successfully defend his Olympic title in the 400m. Since retiring from the track, Johnson has been an Olympic Torch Bearer, made a documentary “Survival of the Fastest” for Channel 4, which investigated the dominance of Afro-American and Afro-Caribbean sprinters. He has also set up his own sport management company, Ultimate Performance. A truly inspiring figure who can wow audiences just with his presence, Michael Johnson has lived an extraordinary life and as a result delivers engaging speeches that motivate all manner of audiences.